CARDIFF, UK, June 12, 2018 /Xinhua-AsiaNet/– On June 8, 2018, Dongfeng Race Team won the first place in the in-port race in Cardiff, UK. At the awards ceremony that evening, Dongfeng Race Team was also honored with the communication award of the event. 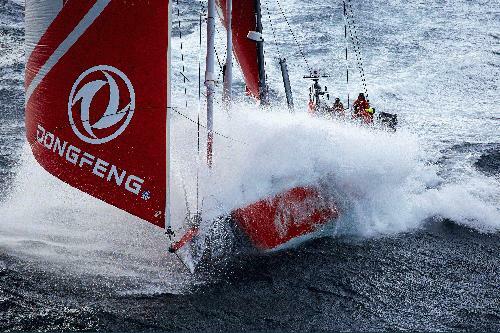 As of this day, Dongfeng Race Team recaptured the top spot in the total standings and got one step closer to the season’s championship. The ninth leg of the Volvo Ocean Race came to an end in Cardiff, UK. All teams are preparing to embark on the 10th leg for Gothenburg, Sweden. For Dongfeng Race Team, winning the first place in the current total standings is not mere luck. It relies on long-term perspective, sound judgement, and unremitting persistence. As is the case with Dongfeng Motor, the road to internationalization has nothing to do with luck. It also requires a global vision,strategic decision-making, and persevering efforts. of the Dongfeng brand in the new era, epitomizing the relentless pursuit for brilliance of human nature. The trinity of “Quality”, “Intelligence” and “Harmony” will lead to comprehensive and vigorous development of Dongfeng Motor Corporation.